Home / Collections / Dash! 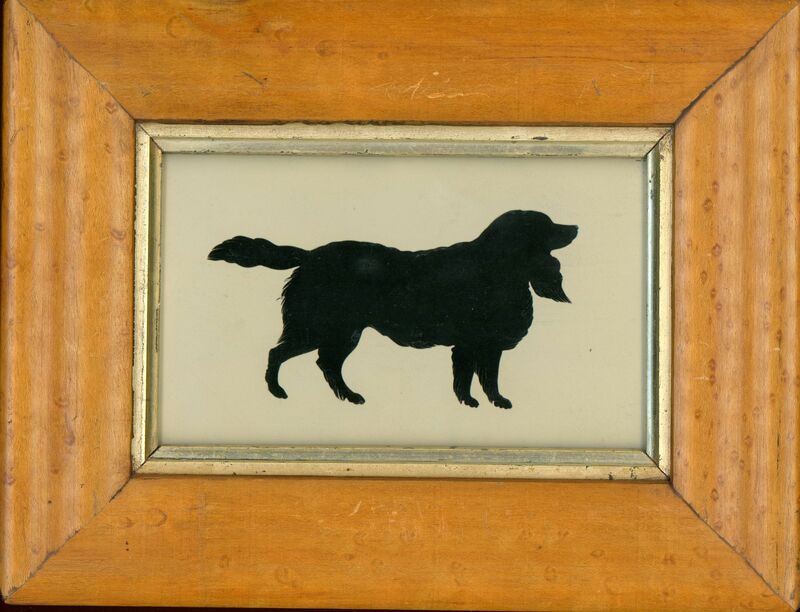 This charming cut silhouette is of an attentive spaniel with long silky ears and a wagging tail. 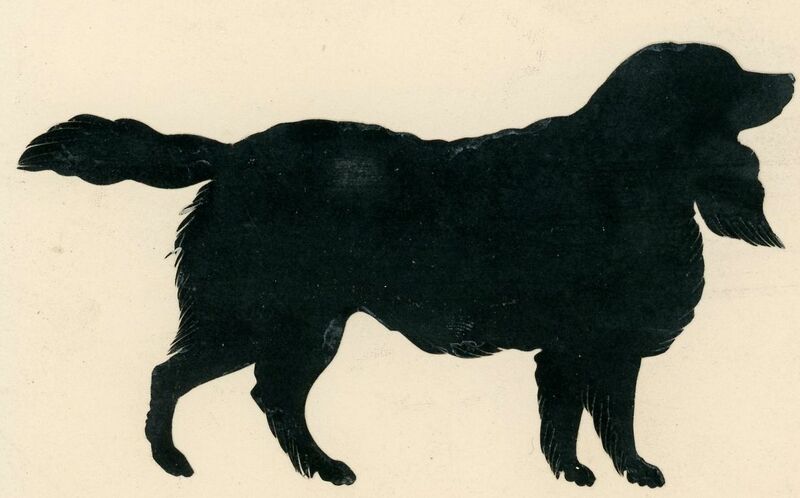 Although it lacks an inscription, the silhouette is remarkably similar in appearance and cutting style to a silhouette in the Royal Collection that depicts Queen Victoria’s little dog, Dash. 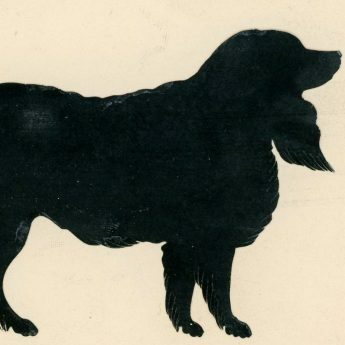 Dash (1830-1840) was a Cavalier King Charles spaniel that was actually given to Victoria’s mother, the Duchess of Kent, but which quickly became the young Princess’s constant companion. He died in 1840 and was buried in Windsor Great Park. The silhouette is set in a period maple frame with a gilt slip. Excellent condition.